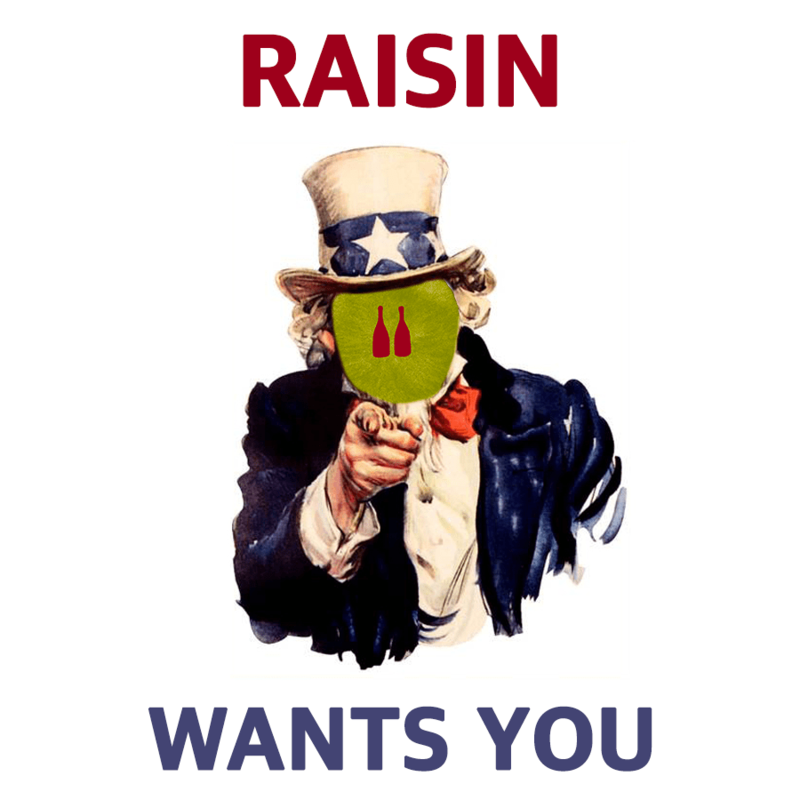 Raisin > Raisin wants you! To contine promoting and developing the growth of natural wines around the world, Raisin is looking for two interns or through an apprenticeship contract to join us at Smart Food Paris as from February 2018. If you are passionate about natural wines, we need you! Do you have strong experience of social networks and their interactions with natural wine communities? Do you administer Fan Pages? Do you master tweets, reposts and swaps? Can you organise a count-down to publication schedule? Do you juggle hot and cold news with ease? Can you create newsletters? Not scared of Photoshop? Have you already organised 47 natural Beaujolais Nouveau events (at least!)? Do you enjoy photography and know how to use a Reflex camera? This position is for you! Are you familiar with Trello, Slack, reverse scheduling, project management and follow-up, debugging and defriefing? Can you create and keep a schdule up-to-date? Can you write technical specifications? Manage subcontractors? Even in English? Are you at ease with Photoshop, Sketch and the Google suite? Are you patient, organised and thorough? Do you think tomorrow is a long way off but will be here soon? This is the position for you! Very good knowledge of natural wines (expect to be tested on this), curiosity, open mindedness, precision. Fluent French and English and mastery of digital tools. Welcome to Alexandre Bain, a new Raisin ambassador !